It’s a decent product but I would not recommend due to its durability and longevity, ours stopped working after 8 months and we also had issues with it charging we got sent another but it happened again after 6 months this time. We are due baby number 2 soon, and will not be getting the same. Shows the room temperature, wireless connection very good, rotating camera from the monitor. The battery last for an hour or so. As we live in a 2 level house with garden is very handy. I am using it for 6 months now and is as good as new. I already recommend it to a friend and he is very pleased with it. Clear view at night time, playsbsounds to the baby, can talk to the baby! All baby monitors are quite pricey however I would say this was in the mid section. It is definitely worth the money! We have had no problems in the past few months since using the monitor and love the features that it has. 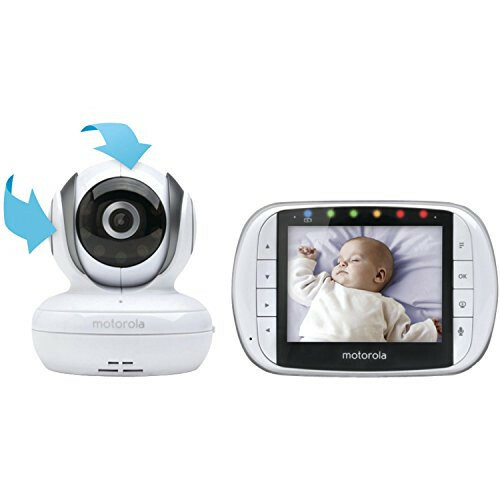 There a several sounds you can play to the baby through the camera and you can also speak to them by simply pressing a button on the monitor! 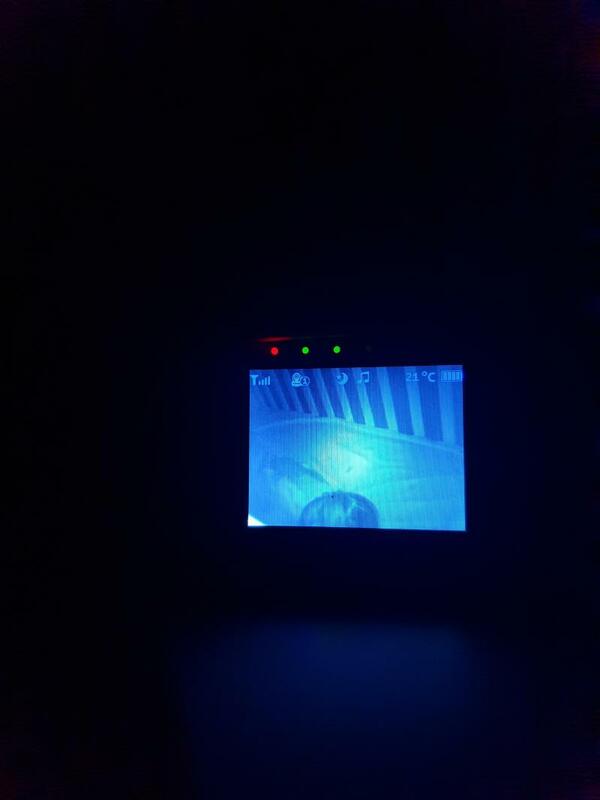 The camera can also be moved via the monitor from where ever you are, so if your baby moves you can still see them. 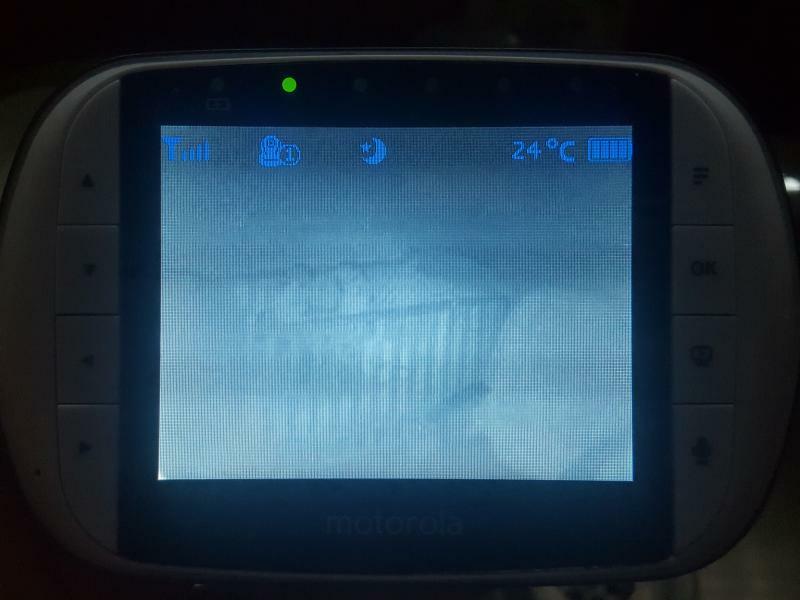 The only downside I would say is the baby monitors battery doesn’t last as long as I thought it would, by time I’m going to bed from when I’ve put my son down it’s on the last remaining bar. I would definitely recommend this product! Iv only had this camera 18 months so far and the charger/charging is having problems. This camera has been great very good quality video, basically undetectable by my little girl. I love the lullaby mode it really is a life saver for settling back to sleep in the middle of the night. Theres only two options for how zoomed in you can go instead of being able to create this yourself. Iv taken the camera anx monitor on holiday and vecause you dont need things like wifi its great,very easy to transport with us as it all fits into the bags and easy to set up once at your destination. Finally all i thibk i have to say on this is that after 18 months im having trouble with battery life and with actually charging the monitor once tye battery has actually nearly died. But i would by another camera of the same. Easy to set up and great that you can move the camera up, down or right or left. Can increase the light if its too dark in the room also. Sound quality is good. 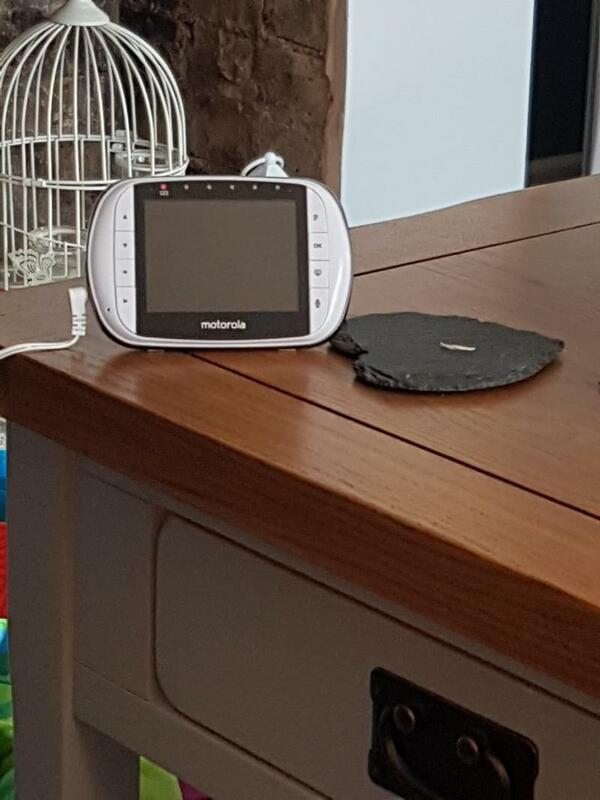 This monitor allows you to be able to see your baby and interact with the remotely. I like that you can play them music and talk to them if the stir (although my babies can tell it’s not the real deal and don’t calm down until I’m in the room). It’s easy to move around and take out and about but I do t feel the battery life is too good and have to change them regularly if using out and about often. The speaker in the monitor also broke after about four months of use making an annoying buzzing noise no matter how I adjusted the camera. I also found it difficult to position the camera so that I could see my baby clearly as the camera itself doesn’t point far enough down (when your baby is in a cot). We used this monitor everywhere we went and very impressed how far we could take the monitor and still have a signal. Easy to use and it is an absolute life saver. Unfortunately the battery life is not good but you can live with that. Picture quality is a little fuzzy. It's a great monitor and does what you need it to do, but the battery can run low quickly when the video is left live. The picture quality I have seen better on other monitors. 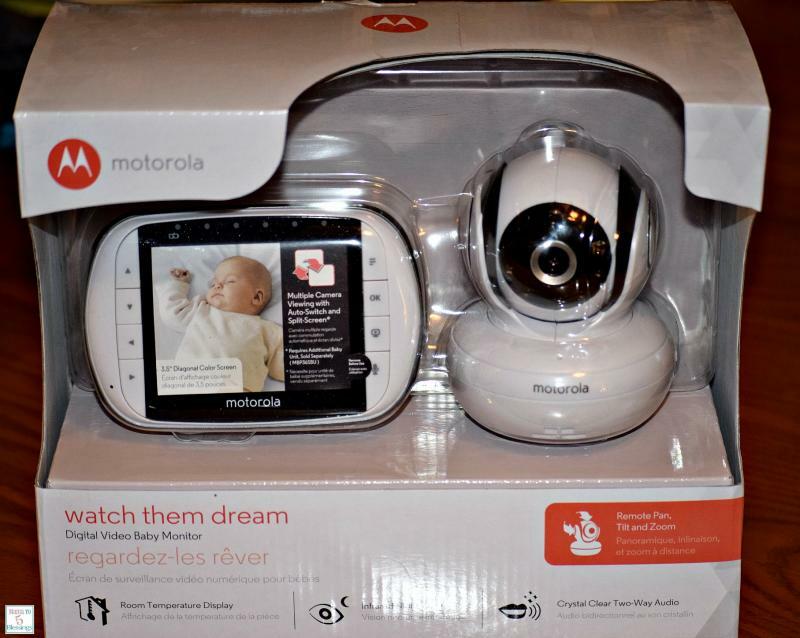 We bought this after our other Motorola baby monitor was faulty and we couldn’t get a replacement for the same model. At first I was hesitant as this was a lower spec model, but in fact I think it has been much better. The picture quality is fantastic even in darkness and the ease of use has been great, especially for my technophobe parents. They find it easy to use and adjust if my baby goes out of view. It has a large pan radius so the baby can be seen from anywhere. Only downside is the parent unit has terrible battery life so bear this in mind if you need it to be extremely portable. 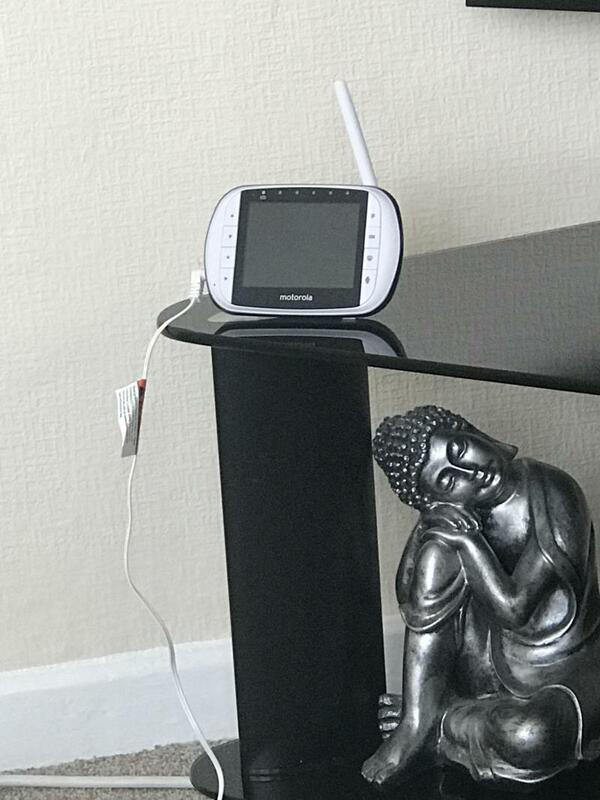 We use it on the side table in the living room plugged in so isn’t really a huge issue for us. Great item bought when my daughter was born 4.5 years ago. Still in use now with no problems and will continue to be used with our new born. Only issue is the volume of the music over the monitor when playing however as this is played by the camera I don't think there is a solution to this. I love this monitor, the picture quality is amazing as is sound. The extra features - like being able to talk through the handset is brilliant (I’ve mainly used it for telling my other half things haha). The only downside is that you have to leave it constantly plugged in as the battery life is poor. You can play music from downstairs to upstairs and can also talk through to the baby too.. The battery life is not good so it does need regular charging . When it is switched on the volume is on and makes a loud beep - enough to wake your previously settled baby . It makes the loudest noise to turn the volume down too, also waking the baby and the stand at the back snaps back ridiculously loud too . The inbuilt lullabies are what nightmares are made of . But overall I can see and hear my baby . This is a great video monitor and quite reasonably priced (compared to other models on the market). The picture quality is good and there is a day and night vision which automatically changes when the room gets dark. You can control the volume, play music to the baby and even speak to the baby using the microphone on the remote. You can easily move the camera left, right, up and down using the controls on the remote. The sound quality is so good that we can hear our baby boy breathing (without the volume being on full). I would definitely recommend this product but would say the only downside is that the battery doesn't last all night and we have to have it on charge quite a bit. 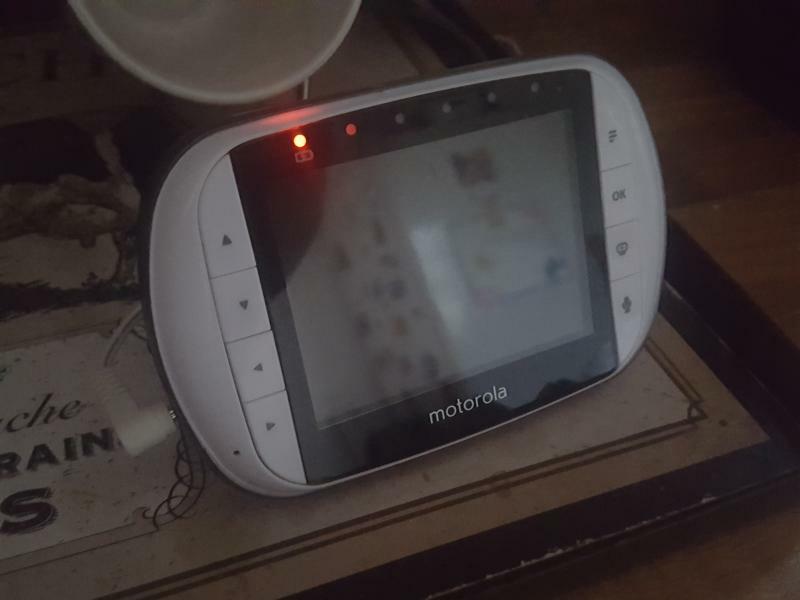 This baby monitor is lovely and easy to use. The video quality makes me feel comfortable to leave my little one and the communication system allows me to talk to my little girl and soothe her if she becomes upset. There is also white noise and music options. This monitor was great for giving peace of mind. I found that the picture was nice and clear and also the sound was good. You can talk and play music to your child which was nice. Only reason I stopped using it is because the toddler got hold of the parent unit and busted the screen. I would recommend this monitor. We got these monitors from our baby being born, she’s now nearly 3 and they are still one of the best things we invested in ! The screen allows you to do so much ! You can move the camera using the parent control , see the temperature of the room , play soothing music in to the room , talk to your child through the monitor ! ... it’s amazing !! When she was newborn it was good to be able to have the option to put her down and still be able to see and hear her , as well as the night vision coming in useful for when the room was dark , .... now she’s a little older it’s good as even if she’s just playing in her room we can move the camera around to see what she’s getting up to , we can talk to her through the monitor if we need to , and also when she’s going to bed we can play lullaby’s to get her to sleep if she’s unsettled !! I bought these monitors after my niece came to stay with us for the weekend and she had these for her baby girl. My baby was only a few weeks old and wasn’t leaving him by himself but I knew I would eventually Need some and I really liked the look and sound of these. These are really good quality and I’m so pleased with them. My only moan would be the battery isn’t that great. You have to keep them plugged in. It’s not really a problem it’s just once my little one is in bed I tend to express and need the plug nearest me for that. Other then that i can’t fault them. Good monitors. Have it over 2years it did broke down after year- have been dropped down a lot but we found that you can fix it cheaply on eBay by sending it off. It works again so super happy. You can see in dark easily. If it’s quiet I can even here my baby breathing what’s reassuring for new parent. I like microphone option giving head start to my daughter that it’s time to wake up. Tricky to set up at first. This product is a great purchase it shows the temperature in the room and switches to night mode automatically at night. However when first setting it up it is a little tricky and takes some time to get your head around the connections. This camera is versatile and works well. Can see my baby sleeping and hearing her puts my mind at rest. I really like this product I love being able to see my baby asleep while I'm sat downstairs watching TV. the picture is very clear and so is the sound so I can hear he's crying or not. I love that you can move the camera by using the portable screen with the arrows on the side so if the baby moves around you can move with it. I enjoy the fact that you can play lullabies and especially the heartbeat as this seems to soothe my baby. I hate the fact that the battery doesn't last very long I can charge it in and it being charged all day and all night when I take it off charge it seems to only last a couple of hours maybe and then you have to charge it up again. this product is really handy to have and I do love how portable it is the screen size is good so you can see if quite a good proportion of the cot and I like the function where you can talk through the handheld monitor to your baby which can help to soothe them. Was gifted this product and must say mostly impressed. It has a decent enough camera which is easy to use and install but the battery is somewhat an issue as it does not last long at all. I have also found the night vision is also very poor however sound quality is superb as I can hear my baby breath which puts my worries at ease. It was easy to set up and you can see images very clearly. It can also be zoomed in and out with good quality vision. I love how you can play lullabies too which is extra bonus. 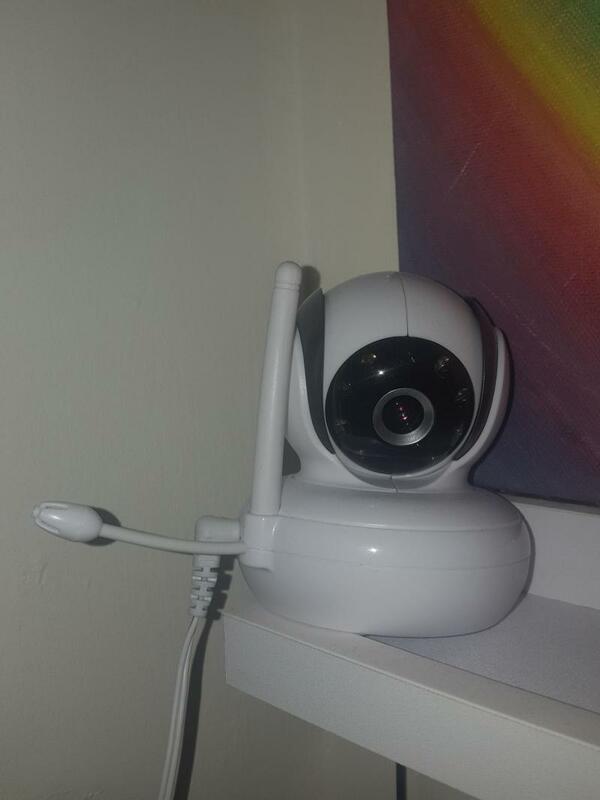 We bought this product as we was using a Wi-Fi only camera and our internet was poor. A friend recommend this too us and it's been fantastic, I love the rotation on the camera (As my son moves a lot!). The battery is a bit disappointing, can't leave it too long before having to plug it in again but great signal throughout the house. 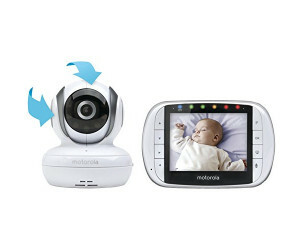 The wireless Motorola MBP36S digital video baby monitor features reliable technology with 2.4 GHz FHSS ensuring the best possible wireless range so you can keep connected to your baby up to 590 feet away. It is enhanced with reassuring multiple camera viewing options. With multiple cameras (sold separately) you can utilise a split screen or timed rolling screen from one room to the next, covering up to 4 different rooms. Relax, with the MBP36S, you will hear your little one if they need you.